Five nationalists remain free while life sentences are appealed. ISTANBUL, Turkey (Morning Star News) – After a nine-year legal saga, a Turkish criminal court today sentenced five men to life in prison for the torture and murder of three Christians in southeast Turkey in 2007. The Malatya First Heavy Penal Court found Salih Gurler, Cuma Ozdemir, Abuzer Yildirim, Hamit Ceker and Emre Gunaydin guilty on three counts each of premeditated murder and sentenced them all to life in prison without the possibility of parole. Despite the conviction and sentencing, however, all five walked out of court free men while their case awaits higher legal review, infuriating Turkish Christians. Gokhan Talas, close friend of the three slain Christians and witness at the murder scene, said he was “okay” with the decision but was angry that the convicted men walked away free while the sentence is reviewed by higher courts. In a press release issued by the Association of Protestant Churches in Turkey, pastor Ihsan Ozbek, chairman of the association, echoed Talas’ dismay that the perpetrators were free despite being handed life sentences. 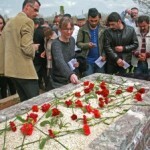 On April 18, 2007, in the office of the Zirve Publishing House in Malatya in southeastern Turkey, Gurler, Ozdemir, Yildirim, Ceker and Gunaydin killed Ugur Yüksel, 32, and Necati Aydin, 36, both Turkish converts from Islam, and Tilmann Geske, 45, a German national. The five Muslim, Turkish nationalists bound the three men, interrogated them about their Christian activities, mutilated them and then slit their throats, according to court evidence and testimony. Police arrested the five men almost immediately after the crime was reported. Gunaydin attempted to escape police by jumping out of an upstairs window of the office and suffered serious injuries. Several others were later arrested in connection with the crime, including Turna Işıklı, Gunaydin’s girlfriend. According to several Christians close to those killed, one or more of those arrested cultivated relationships with the victims. Several Christians said Gunaydin went so far as to pose as being interested in the Christian faith or even becoming a Christian to get as close as possible to the three men. “They are trying to take our country away, take our religion away,” the note read in part. Today’s hearing was the 115th hearing in the trial. The number of hearings and the fact that the case took so long to prosecute was the source of a great deal of anguish for Turkey’s Christians. In 2008, the court held its first hearing in the case, but the proceedings were problematic and difficult from the start. The judges and prosecutors were changed more than once, causing significant delays, and subpoenaed witnesses simply refused to show up in court to testify without legitimate reason and without being punished later for contempt of court. Most significant in delays was the attempt to explore links between the killings and a larger alleged attempt by the Turkish military to subvert the Justice and Development Party-led government. There was much speculation that arrests of lawyers and judges in the wake of a coup attempt in July would further delay proceedings. 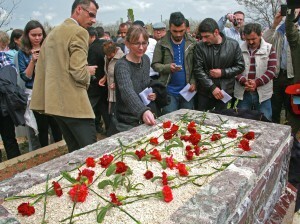 In 2009, the murder case was linked to the Ergenekon file, concerning a suspected cabal plotting against the government. As a result of this, a host of new witnesses were called into court, including a colonel in the gendarmerie and three army officers. Ozbek referred to the efforts to investigate those connections in his press statement. Mine Yıldırım of the Freedom of Belief Initiative, Norwegian Helsinki Committee, told Morning Star News she was disappointed that no “instigator” behind the murders was found guilty. Especially galling to families of the victims was that the five suspects on March 10, 2014 were released on bail under a new reform law that reduced the allowable period of pretrial detention from 10 years to five. Under public pressure, authorities required them to wear electronic monitoring devices, a practice that continues after the conviction, but the release has caused extreme distress among the families and friends of the victims. Anadolu Agency, the official state sponsored Turkish news agency, said the court acquitted 16 suspects that had been arrested in the case. One army officer, retired Col. Mehmet Ulger, was sentenced to 13 years and nine months in jail for “violation of confidentiality of communication and forgery of official documents.” Ulger were detained in March 2011 as a result of the murder case being joined with the investigation of the Ergenekon coup plot trial. Another military officer, according to Middle East Concern, received a sentence of 14 years, 10 months and 22 days on the same charge.